Kickstarter Updates: Pairs, Baffledazzle, and Board Games for the Blind! The Internet has truly changed everything: how we communicate, how we shop, how we learn, how news spreads, how businesses rise and fall. And the puzzle world is no different. The Internet allows us to bring PuzzleNation apps right into your phones and tablets. Constructors are making names for themselves marketing directly to solvers. And now, with the growing influence of Kickstarter, Indiegogo, and other crowd-funding platforms, puzzlers and game designers are bringing terrific, innovative puzzles to life like never before. I sincerely enjoy sharing crowd-funding news with the PuzzleNation audience, because it’s a rare opportunity to see a puzzle or a game go from an idea to a finished product from start to finish. I’ve reported on plenty of them, and today, I’d like to update you on a few successful campaigns that made it through the crowd-funding gauntlet and recently delivered their products to market. The first comes from our friends at Cheapass Games, who actually launched two Kickstarter campaigns this year. 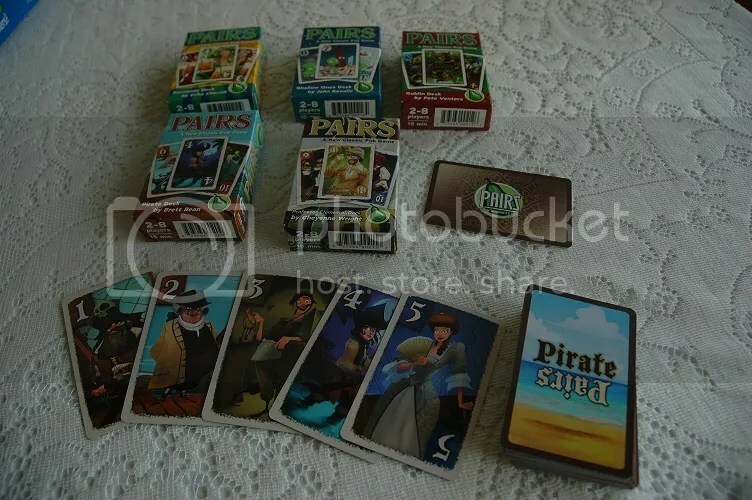 Not only did they recently wrap up the funding process for a storytelling strategy game called Stuff and Nonsense, but they introduced a terrific new card game, Pairs, under their Hip Pocket Games brand. 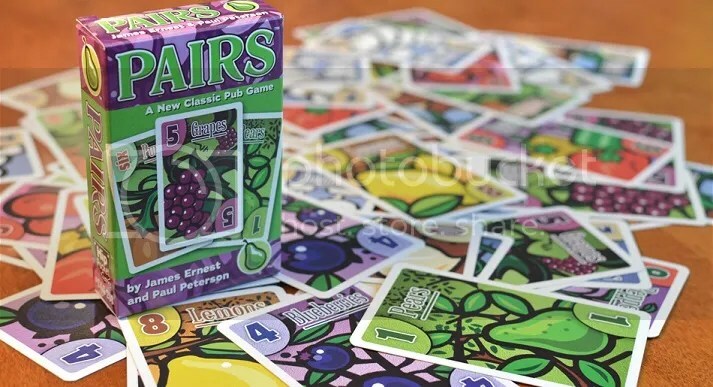 Their campaign did so well that they’ve released the original Pairs deck (known as the Fruit Deck, pictured above) and ELEVEN alternate decks, each with a different theme, great custom artwork, and rules for an additional card game specific to that deck. A social card game that’s easy to learn and hard to master, Pairs (confidently and humorously subtitled A New Classic Pub Game) recently hit stores, and I expect it will be a big hit. Back in April, I posted about a campaign launched by the folks at 64 Oz. Games called Board Games: Now Blind Accessible. 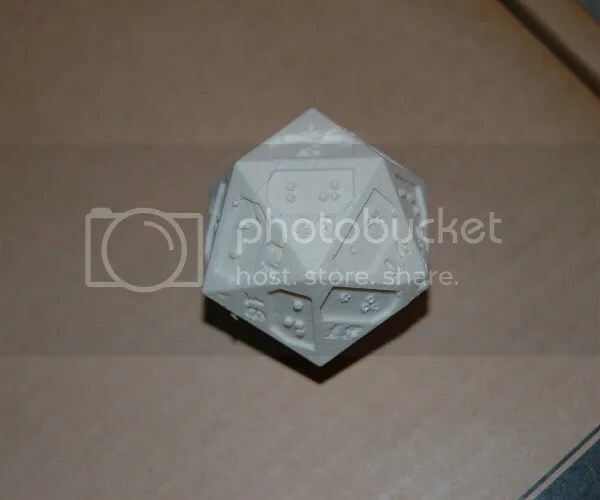 The campaign raised funds for several products designed to bring established board games to the visually impaired, including braille sleeves for card games and a 20-sided braille die, each allowing sighted players and non-sighted players to enjoy the same gaming experience. It’s a wonderful cause, and I’m pleased to report that this month, they’ve released accessibility kits for numerous popular games, including Munchkin, The Resistance, and AEG Love Letter, with more on the way! 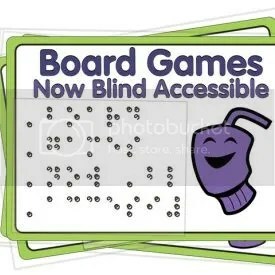 In addition to the accessibility kits, they’ve produced a card game called Yoink!, designed to be played blindfolded and relying on touch alone. I received a copy this weekend and tried it out with friends with great success. With other top games on the to-do list, 64 Oz. Games is doing great work for board game fans everywhere. Finally, I have an update about Rachel Happen’s Baffledazzle campaign. 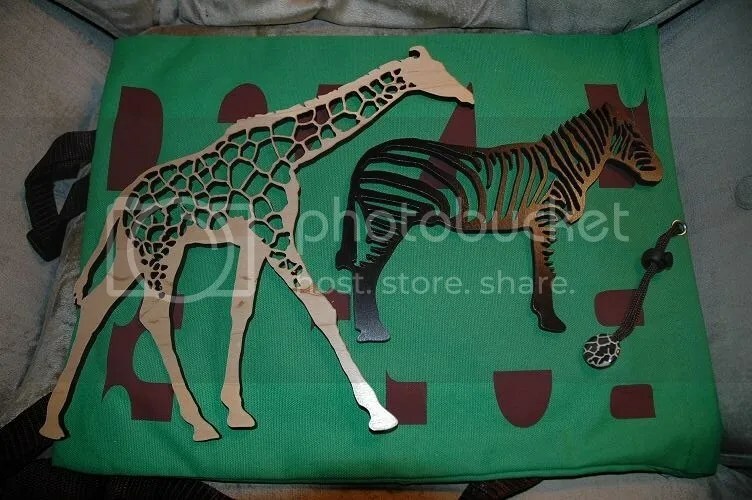 Raising nearly $14,000 dollars for a laser cutter and supplies to bring her jigsaw puzzles-with-a-twist to life, Rachel has completed production on her first run of Baffledazzle puzzles, shipping them out to backers AND loading up her new Etsy store. 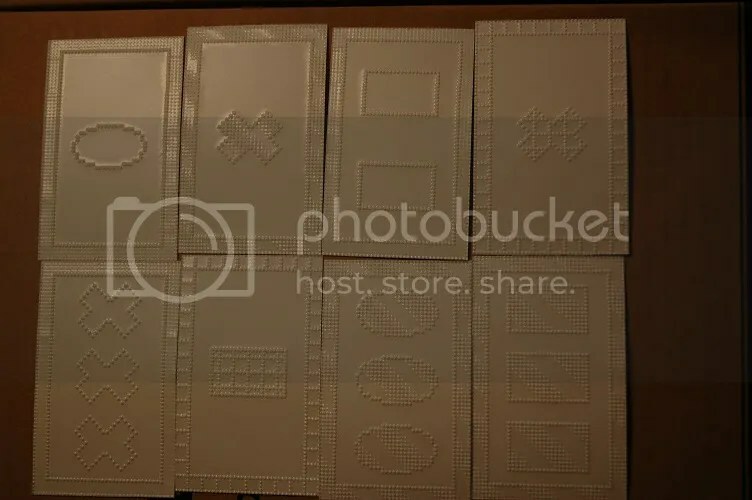 And in honor of her successful campaign, I thought I’d do a brief series of unboxing photos to show you the care and attention she paid in packaging her puzzles for backers and customers. loaded to the brim with packing peanuts. 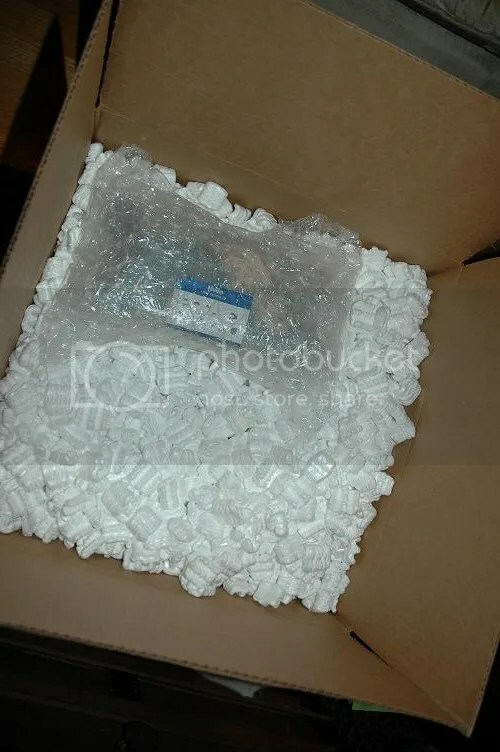 And here are the carefully bubble-wrapped parcels of each Baffledazzle brand puzzle. 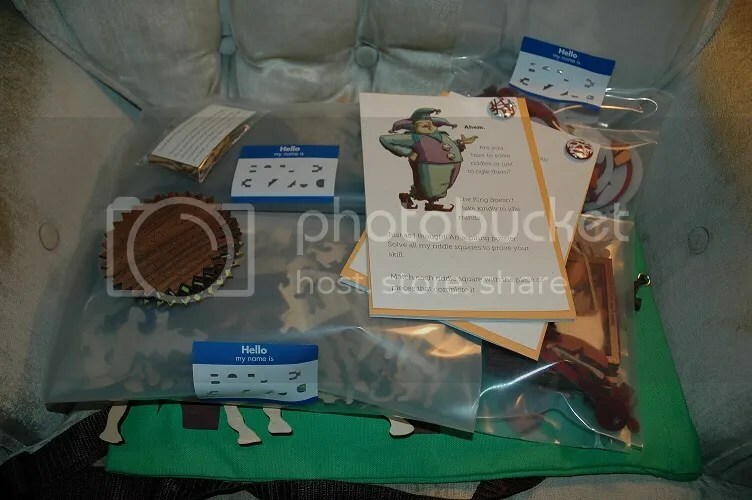 The larger ones came complete with storage bags, hint and solution envelopes, and pins for each puzzle. 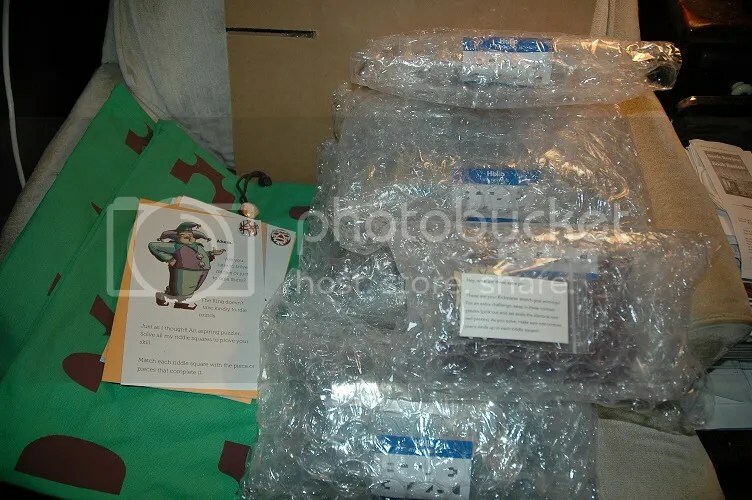 (You can see two in the corners of the puzzle cards, as well as one on the drawstring of the top green bag. And here’s a better look at some of the packaging. High-quality bags protect the wooden and acrylic puzzle pieces, and each is labeled with a signature “Hello, my name is Baffledazzle” sticker. 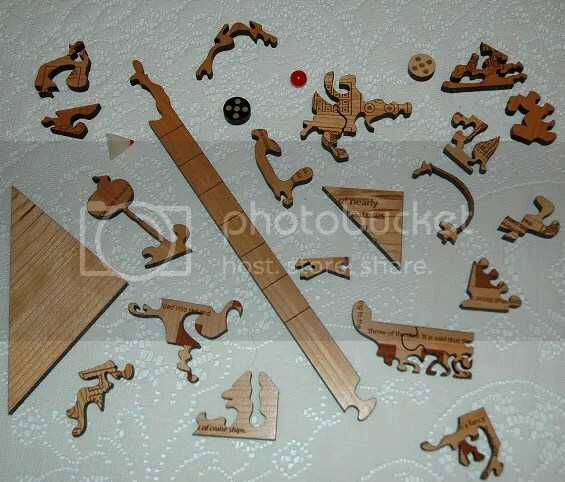 Two of the beautiful laser-cut wooden pieces from the Ozuzo puzzle. A close-up of some of the carefully crafted puzzle pieces for the Cirkusu puzzle. Rachel absolutely outdid herself with the Baffledazzle campaign, and I cannot wait to see what she cooks up next. With the successes of Pairs, Board Games: Now Blind Accessible, and Baffledazzle, we can chock up three more victories for the online puzzle community. With so many creators out there and the technology at our fingertips, the puzzly possibilities are virtually limitless. And in closing, I’d like to hear from you, PuzzleNationers. 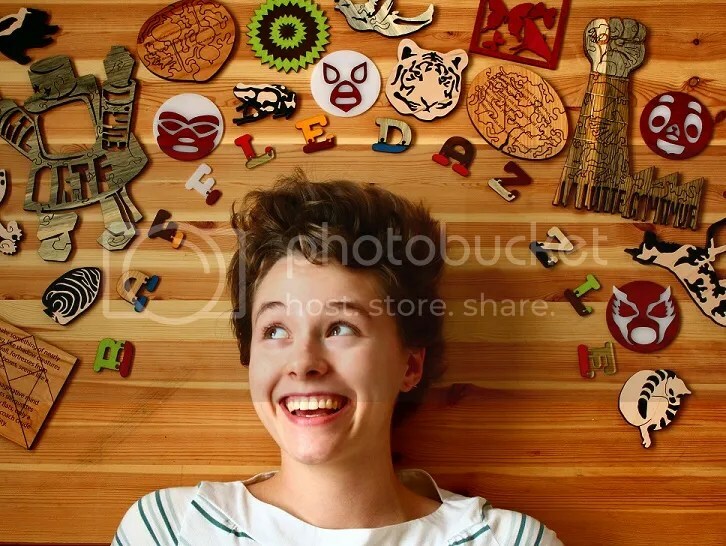 Have you supported any Kickstarter or Indiegogo puzzle campaigns? If not, would you in the future? Let me know! This entry was posted in Games, PuzzleNation, Puzzles and tagged 64 Oz. Games, Announcements, BaffleDazzle, Board Games: Now Blind Accessible, Cheapass Games, Cirkusu, crowdfunding, Crowdsourcing, d20, dice, DIY puzzling, games, Geeking Out, Hip Pocket Games, Holiday Gift Guide, Indiegogo, jigsaw, jigsaw puzzles, Kickstarter, Love Letter, Ozuzo, Pairs, Pop culture, PuzzleNation, Puzzlin' fool, Rachel Happen, The Resistance, yoink by gmdirect. Bookmark the permalink.